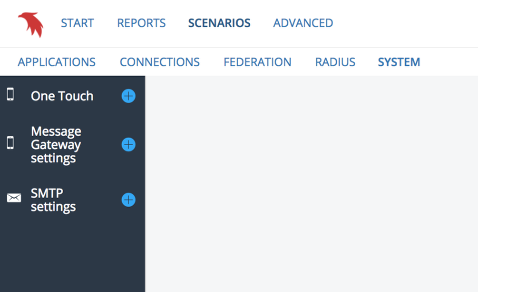 Systems tab allows for admins to set up global systems settings. Diffrent from other tabs under Scenarios is that only one instance is allowed. Se each section for additional information.